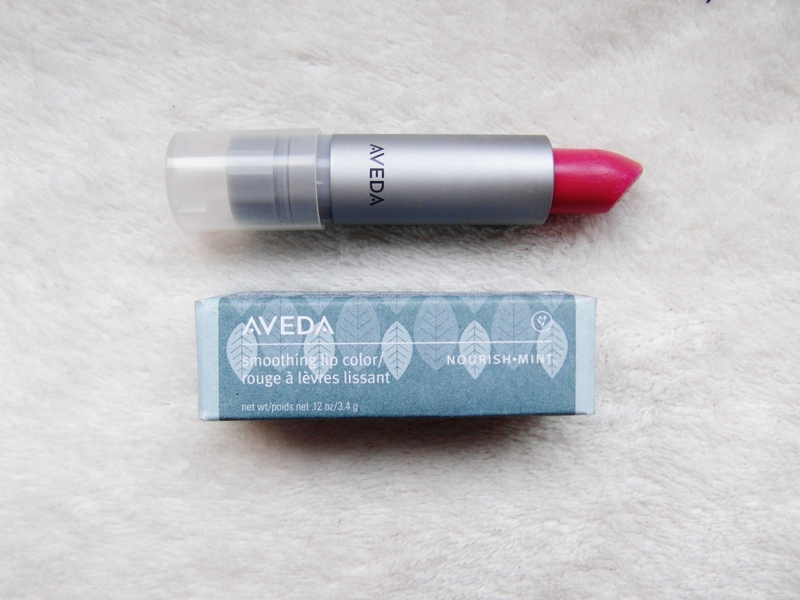 I was gifted this Aveda lip set, (not PR, a genuine present) and I was surprised to see it was Aveda as I thought they did purely hair products. For me, when I think Aveda, I naturally and probably naively, automatically think hair care and that’s it. 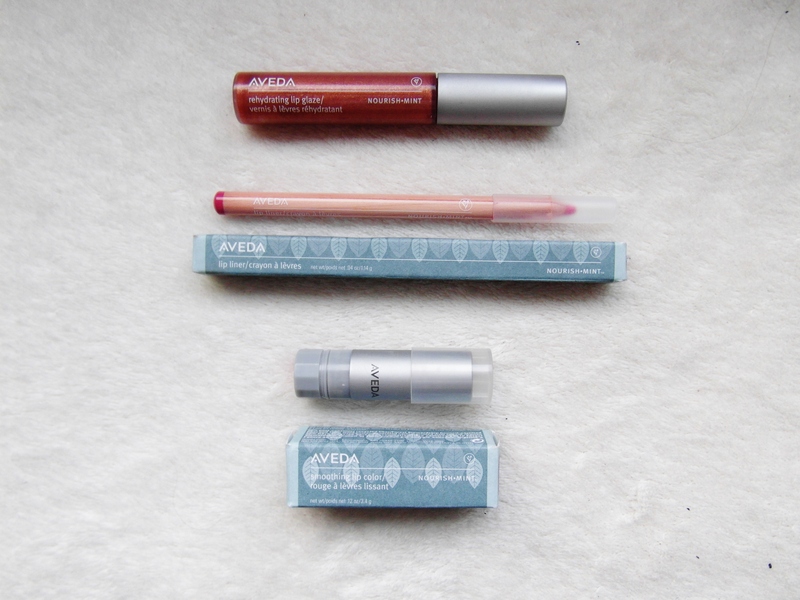 So when I was gifted this Aveda lip set, I was taken aback. The set was part of a collection they are doing called Nourish Mint, which essentially just means they aim to moisturise your lips and have an organic vanilla mint fragrance as well. The set comprised of, a lip liner in the colour Cactus Blossom, a lipstick in Peruvian Lily and a lipgloss in Rose Copper. 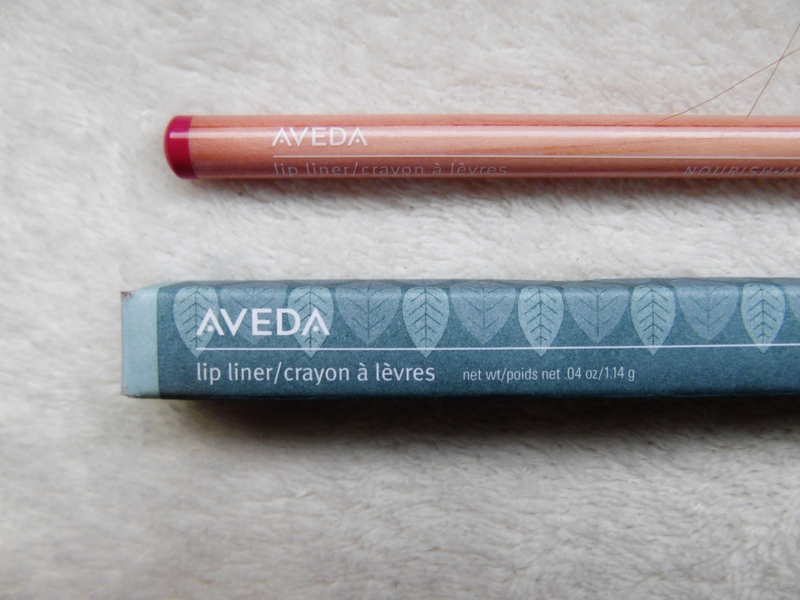 I love my lip liners at the moment so I obviously tried that first. (first picture). 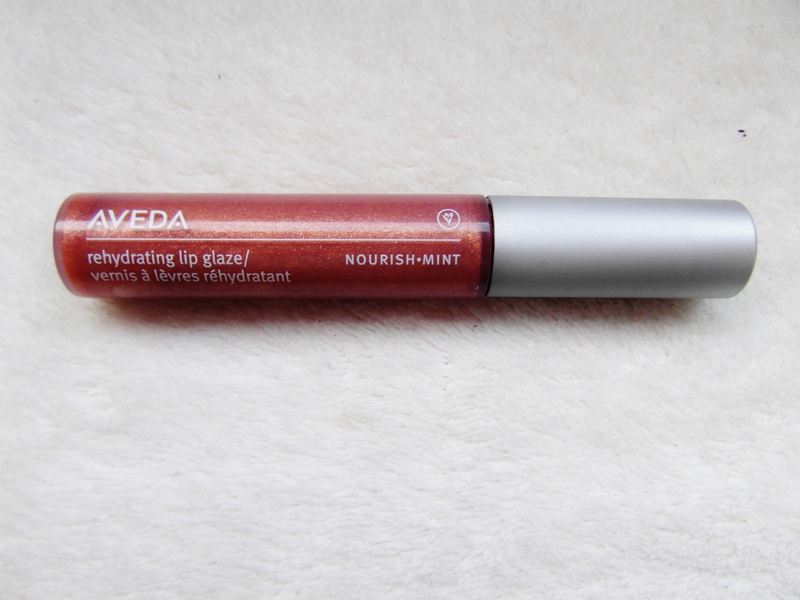 It was very pigmented, I didn’t need to press down to get a defined line and when I put it all over my lips it wasn’t dry or matte, but very creamy, a definite lipstick texture. A light covering is all you need though, as I noticed when I began to build it up with more product, it was too creamy to work with! 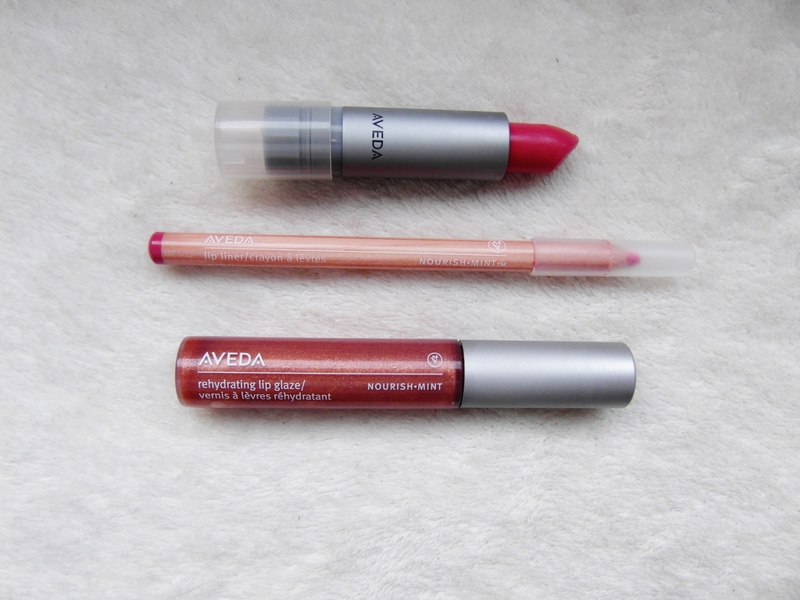 The lipstick is essentially exactly the same colour, a bright hot pink so it’s easy to wear those two together. 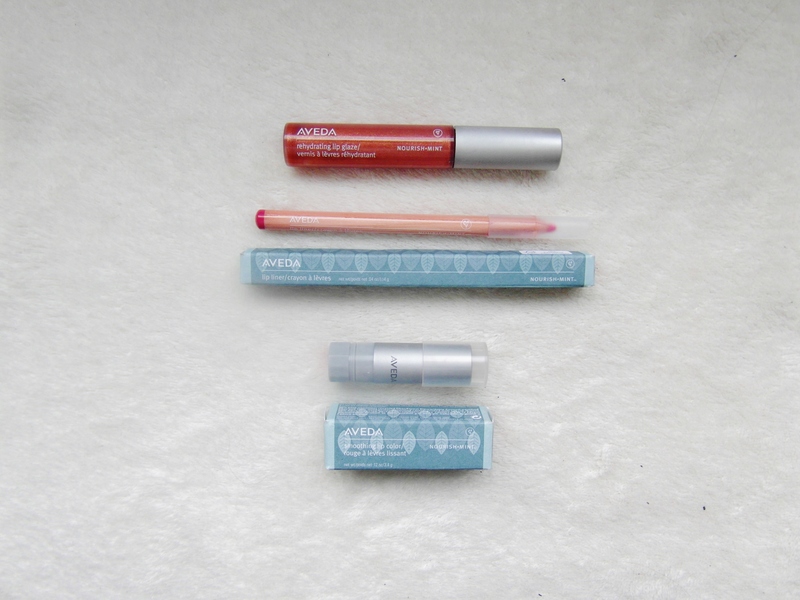 Yet on its own, it’s not as pigmented as the lip liner and although definitely buildable, it could be easily worn as a sheer lipstick which is probably more suitable for everyday and from the pictures looks more like a lip tint. I haven’t worn lip gloss for absolutely ages, I just hate that sticky feeling and find the whole gloss look a bit dated. Lipstick or just lip liner was always the way forward in my life so I wasn’t expecting much from this lip gloss. It has a thick consistency which if I’m honest frightened me a bit, as thick consistency to me has always meant… sticky mess buuuut I was pleasantly surprised. The colour was very sheer, with hints of sparkle and was a subtle rose gold colour – but could also be a ‘my-lips-but-better’ colour for some people. It didn’t stick at all, but I wouldn’t put too much on as it is thick and can feel quite heavy and waxy. This is a colour I will wear more every day, as I try once again to step out of my lip liner and lip stick phase..
I’m not sure where you can buy these products, as I said they were a present, but on the website seems like a pretty good place to start..
A very beautiful video. I don’t need to explain any more – just watch. I was nominated by the lovely Olivia to do the Procrastinating Beauty Blogger Tag! I haven’t done a tag before, so this is a first for me and I’m hoping to do plenty more. 001. Name a beauty regime you rarely do. 002. Is washing your brushes something you do regularly? 003. How long will you last with chipped nail polish? Haha! 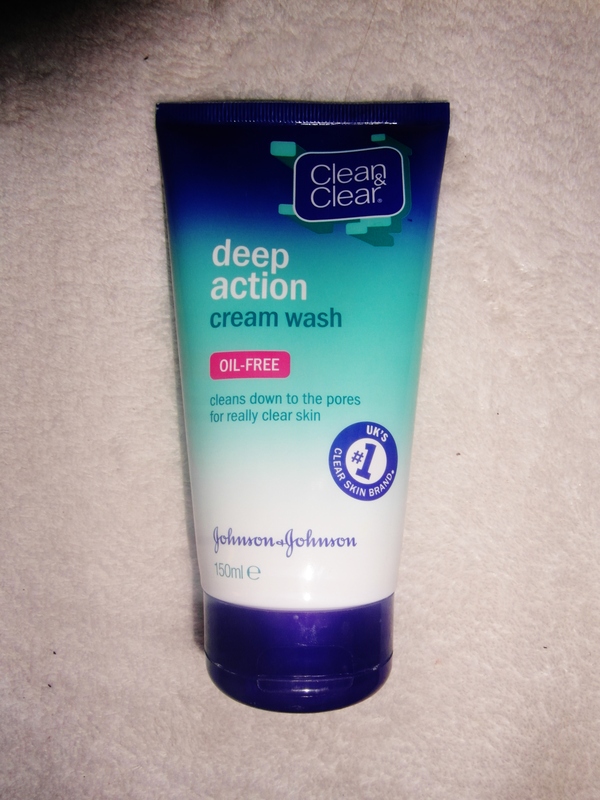 Another thing that’s going to make me look scatty. About a week, so a long time. I just think, if I’m going to do my nails, then I’m going to do it properly. I would rather have chipped nails than do an untidy rushed job! Doesn’t really make much sense I know.. Sometimes I cheat and paint over chipped nails, which is a really bad habit. And here is a nice meme to go with my answer..
004. 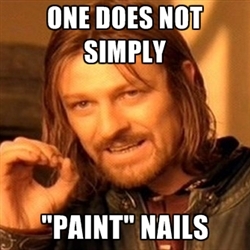 How long will you put off buying/replacing a nail polish, even if you need it? Because I buy so many all the time I don’t usually replace! But one I have replaced when it got a bit gloopy, is Essie’s ‘Grow Stronger’ polish.. But overall Essie lasts a very long time so I haven’t had to replace much, yet! 005. What is your worst beauty habit? Probably over using dry shampoo instead of washing my hair. When I get in the shower I just tie it up in a top knot and then dry shampoo it instead of washing it! It makes my mornings x10 faster and less hassle.. But I’m sure it’s not that good for my hair! 006. Name something non-beauty related you put off doing all the time? Definitely university work. I am the biggest procrastinator. In fact, I should be doing university work now instead of writing this. 007. When going somewhere, do you leave getting ready until the last minute or not? 008. Can you commit to spending bans? Yes definitely. I love budgeting and knowing where my money goes.. I have spreadsheets and everything! If I don’t want to spend money, I just stay out of shops and off blogs! 009. How organised is your makeup and nail polish collection? Very organised! I have a box full of nail polishes and storage drawers for my makeup, each drawer correlating to either face, eyes, lips or brushes. It’s just a black woven one from Argos, one day I would love to invest in acrylic storage, I think it looks so nice. I also have a little box of my ‘daily make up’ on my dressing table so that I don’t need to be scurrying around the drawers every morning when I can barely keep my eyes open. 010. What is the longest amount of time you have gone without writing a blog post? I’m guilty of going about a month. Sometimes university work and working at my job can get very overwhelming, and unfortunately blogging is something that suffers, despite the fact it is my favourite thing to do out of all three of them.